We offer a large selection of parts and accessories. 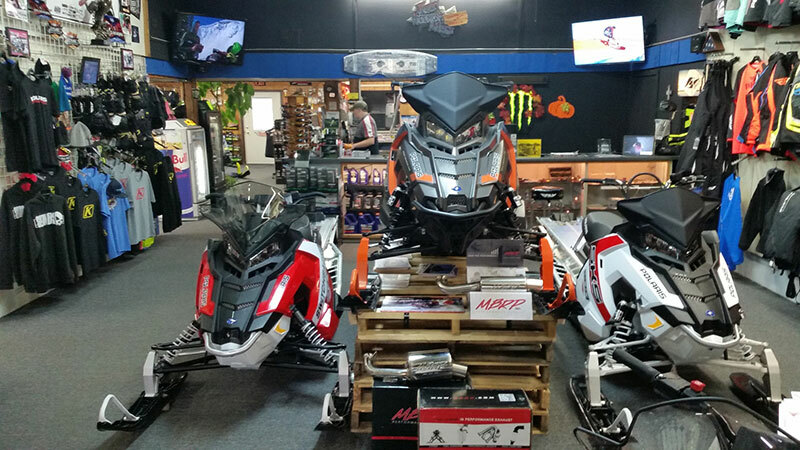 Our showroom features the latest in ATV, boat, cargo trailer, outboard, snowmobile and UTV. If we don't have it in stock, we can find it for you. We can also assist you with customizing your ride. You get the most satisfying results with a plan for how you want it to look. We customize Crest, FLOE, Hewitt, Mercury, Moomba, Polaris, Supra and Tuffy Boats all the time, so let us help you design yours! Stop by and enjoy friendly service for all your parts and accessory needs. We not only sell the best parts and accessories available, we use them ourselves. We have a great passion for the recreational motor sports and want to share this information with YOU! "Know-How, On Water, Wheels and Ice"
If you would like to place an order online, please contact us or fill out the form on this page.